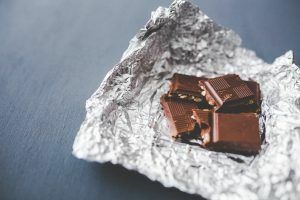 Most dog owners know that ingesting chocolates are bad (and potentially toxic) for your dogs. But did you know that there are more foods that you should avoid feeding to your dogs? Not only can these foods cause health problems, but they can be dangerous to your canine companions as well. The good news? All of these can be avoided with careful preparation and storage of such foods. 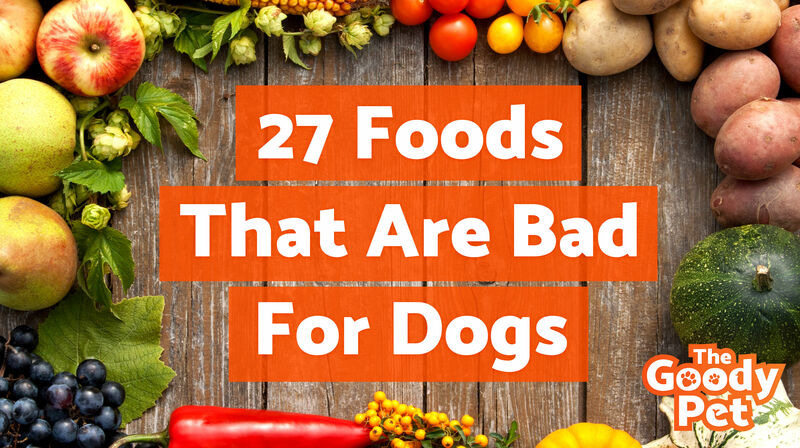 Read on for the comprehensive list of 27 foods that you should never offer to your dog. PS: We have also listed the reasons why they are forbidden. The first on the list needs no introduction – Chocolates. We are sure that most of us are chocolate lovers and enjoy its savory taste. Unfortunately, that is not the case for our furry friends. Chocolate, especially the dark variety, consists of theobromine that is potentially hazardous to dogs. It is found in all varieties of chocolate but more so in the darker variant mentioned above. Dogs, unlike humans, are not able to metabolize theobromine as quickly as us. Hence, this leads to a buildup of that toxic substance in their bodies. Your dog might display symptoms like vomiting, diarrhea, insatiable thirst and disrupted heart rhythms. It could also be fatal in some circumstances. Avoid garlic, onions or any plant species from the “Allium” family. These include chives, leeks, shallots, and others. 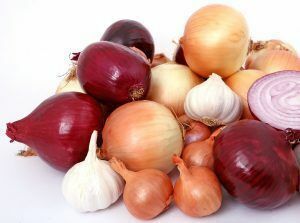 While both garlic and onions add that quintessential punch to our food, none of them are good to go when it comes to your pet dog. Ingesting them will lead to the damage of their red blood cells in a condition known as hemolytic anemia. To put it simply, your dog’s red blood cells gets broken down and destroyed. Symptoms of hemolytic anemia could range from breathlessness to weakness and vomiting. If left untreated, your dog might collapse from the lack of oxygen as the red blood cells are not able to carry sufficient oxygen around its body. While avocados are considered super food for humans, your pet dog should ideally stay away from them. Avocados are one of the worst foods to feed your dog. Why? Firstly, the pits of avocados are choking hazards. 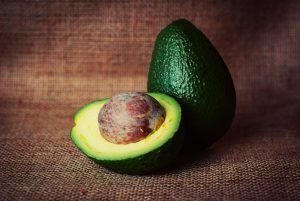 Secondly, Avocados contain the chemical Persin which is found in large quantities in the leaves, bark, and seeds of the fruit. This is highly toxic when offered to your dog. The concentration of persin is so high that you should even keep your dog away if you happen to have an avocado plant in your backyard. 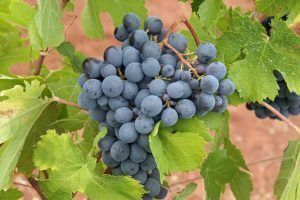 Although the reason is still not clear, grapes and raisins are considered to be risky for consumption by dogs. Scientists suggest that they could lead to kidney failure, even if consumed in the smallest amount. If you are offering either of them to your child, ensure that they are aware of the consequences these fruits might have on dogs. Always be around when your child is eating them and playing with the pet dog. If your dog is affected, he could display signs of hyperactivity for the first few days and then slump into lethargy as a more obvious sign. If your dog has eaten either grapes or raisins and seems to be displaying these signs, you should take him to the vet immediately. Although persimmons are not as commonly found in the US as they are found in Asia, there appear to be certain native varieties that grow well in California. Research suggests that persimmons contain a chemical that tends to react with stomach acid and creates a gluey mass that could eventually cause an obstruction in the intestines. Moreover, the seeds and pits of persimmon could also cause intestinal blockage and enteritis. So if you happen to notice pits and seeds in your dog’s poop, do look around your backyard for wild persimmon trees and chop them off right away. 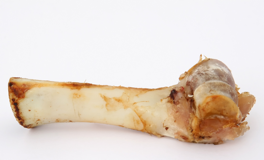 Who knew that bones could be harmful to dogs? In all the movies that we have watched while growing up, dogs have always been shown as bone-lovers. Cooked bones are a big no-no, as the cooking process strips away most of the moisture present, making it extremely brittle. The splinters could break off easily and damage the teeth of your canine companion. Moreover, the splinters of the bones could get lodged in their throats and cause an immense amount of trouble. The splinters could even puncture your dog’s digestive tract or his intestine. A safer and healthier option would be to offer raw bones or bone-shaped treats. Thinking that sugar free human products can be healthy treats for your dogs? You are wrong. Avoid them at all costs. This is because of an ingredient called Xylitol present in these sugar free sweet treats which is extremely toxic to dogs. Xylitol is a food sweetener that is commonly used in human foods such as candy, mentos, Jell-o, chewing gums, peanut butter and more. The ingestion of Xylitol causes your pooch’s insulin level to rapidly increase, leading to a quick decrease of its blood sugar level. This results inhypoglycemia could badly impact your dog’s liver. The symptoms of liver failure range from lethargy to vomiting and from seizures to co-ordination issues. These could be fatal if not treated upon immediately. Did you know that apple seeds could be toxic to your dog? Yes, the casing of Apple seeds contains a natural chemical that releases cyanide when the dog digests it. This could potentially poison your dog slowly over time and weaken his digestive system. Whenever you offer apples to your dog, always get rid of the casing along all the seeds and offer small bite-sized pieces to smaller dogs. Have you ever wondered why coffee gives you that much-required kick early in the morning? It is because of the presence of caffeine in coffee that you get an instant high, enough to get you going through the early morning meetings. However, this high or kick could be hazardous for your dog. It could lead to a more rapid heart rate, leading to palpitations and muscular tremors. So the next time your pup wants to lick that froth off your morning latte, offer him something healthier than that. A lot of those cookies and candies that you buy from the grocery store contain macadamia nuts. As harmless as they seem, they are not particularly good for your pet dog at home. Research conducted by theVeterinary Medicine Publication has showed that even a very small amount is enough to make your dog sick. If you have accidentally offered these nuts, do watch out for symptoms like unexplained lethargy, weakness, and depression. If your dog has had these nuts in greater amounts, he could also display signs of macadamia poisoning that range from hypothermia to life-threatening tremors. However, the symptoms of macadamia poisoning may not surface till about 12 hours, which is all the more reason to keep an eye on your pet dog. There is a recent trend of feeding raw eggs to dogs, highlighting the amount of protein that dogs can receive from them. However, there is a very small risk of food poisoning when your dog is put on a diet of raw eggs because they may contain Salmonella or E.coli bacteria. Most commercial eggs are often sprayed with wax and harmful chemicals as well, as this helps to keep the eggs looking fresh. Eating raw eggs contain almost the same nutritional value as cooked eggs, so why take the risk? If so, you should avoid offering fatty food like bacon, ham, meat trimmings, etc at all costs to your pet dog. These kinds of food not only lead to unnecessary weight gain in dogs but are also quite harmful to their digestive systems. Moreover, high-fat content in food could also cause pancreatitis in dogs. Symptoms usually include vomiting, belly pain and diarrhea. These kinds of meat tend to have a high salt content that absolutely disrupts the balance with a dog’s system. Your pooch will tend to feel very thirsty and will eventually drink more water than it should. This will lead to bloating that could be fatal in some cases. Don’t be shocked to read this if you have already slipped a piece or two of cheese on several occasions already. Dogs lack the enzyme that can break down milk products. Moreover, there are a lot of dogs that are lactose intolerant. These dogs will have a whole range of gastrointestinal issues if they consume milk products like cheese, curd, butter etc. 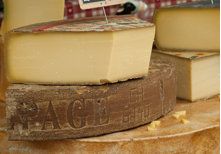 Cheese has a high-fat content that could also lead to pancreatitis in dogs. You should absolutely avoid that cheeseburger you had thought of sharing with your dog tonight. Even if your dog is not consuming candies, sweet treats or gummies, spoonfuls of sugar in her food could do almost the same amount of damage. Sugar is carried to the body cells via blood in the form of glucose. Dogs tend to get a sugar high that could cause them to become hyperactive and unfocused. When the impact of sugar is over, they experience a sugar slump that makes them sleepy, moody and irritable. These extreme highs and lows are harmful to their liver and could cause diabetes. Whether these are your regular chewing gums or your child’s favorite gummy bears, pet dogs are not supposed to consume any of them. Chewing gums can cause bowel obstruction if your dog swallows them. Moreover, gums contain a sweetener called xylitol that is highly toxic for your dog. If your dog happens to consume and swallow gum, he could experience liver failure. Keep all gummy candies and sweet treats as far away as possible from your pet dog. If you have a pet dog at home, always avoid keeping rising dough bread anywhere on the kitchen counter. Your dog might have mastered the art of grabbing healthy treats from up there but if he happens to ingest dough bread containing yeast, it could be hazardous for him. 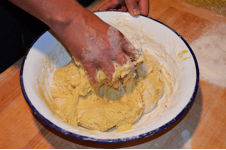 Yeast dough is harmful to your dog because it will continue to rise in its stomach and make him feel bloated. Apart from that, your dog could experience pain and its intestines could be blocked or distended. While corn continues to be the most important filler in dog food and treats, you would be better off by avoiding the natural corn on a cob. Primarily, it could be a choking hazard for your dog. Secondly, your dog might keep gnawing at the cob even after all the kernels have been consumed and thus ingest bigger pieces of the cob. These could lead to primary intestinal blockages and cause digestive problems. Even a few inches of cob could be problematic for a dog since these are not easily detected in X-rays. Salt in food is an absolute no-no if you want to offer healthy food to your dog. You will hear a lot of people telling you how popcorn and pretzels are bad for your dog’s stomach but the real culprit in them is the amount of salt they come loaded with. When dogs consume salt, it causes a condition in them which is known as sodium ion poisoning. Dogs also tend to urinate more and feel thirstier as a resultant. Some of the symptoms could also range from diarrhea to seizures and from elevated body temperature to bloating. You should probably get a hold on yourself if you have been feeding cat food to your dog because you ran out of dog food and were too lazy to visit the store. Cat food is specifically targeted at cats and has higher amounts of proteins and fats that cats are built to assimilate. These amounts could be much higher than what your dog could take and tolerate so you had rather avoid it completely. Fish is great for humans and can give you that much-needed Omega-3 fatty acid booster but be wary of salmon and trout when it comes to your pet dog. Salmon tends to be infected with a parasite named Nanophyetus Salmincola. This parasite is in turn infected with a certain kind of bacteria that is fatal to dogs. Signs of salmon poisoning appear within six days of ingesting infected fish. These symptoms include reduced appetite, fever, diarrhea, lethargy, vomiting, and dehydration among other things. It could be fatal to your dog if left untreated for more than a week. So if you were planning to offer salmon and rice to our dog for weeknight dinner, you have to cancel your plans. However, you can definitely offer cooked salmon that has been cured at high temperatures to kill the parasite. Feeding too much of liver to your dog or pup could affect its bones and muscles. Although liver tends to be a dog’s favorite food and most treats contain liver extracts, a higher intake could cause nutritional problems for dogs. The liver has higher concentrations of Vitamin A that could lead to toxicity or hypervitaminosis. A dose of three servings of cooked liver a week could cause bone problems. The symptoms of hypervitaminosis can range from deformed bones to weight loss and anorexia. If your dog happens to exhibit any of these symptoms, it is a good idea to get them checked by a vet as soon as possible. Mushrooms are tricky to understand and as poisonous as they could be for humans, the same impact could be expected on your pet dog. If you happen to feed them the wrong variety of mushrooms, it could lead to a slow poisoning of your dog; something that you might not even be aware of. There are some varieties of mushrooms that are highly toxic in nature and since you should not really take chances with your pet, you could do away with the whole idea of offering them mushrooms. Chives add a punch to your otherwise bland food but they are one of the worst foods that you possibly offer your pet dog. Whether they are in their raw form or cooked, powdered or otherwise, they are highly toxic for your dog’s consumption. Chives are known to contain both disulfides and sulfoxides that can lead to anemia and cause damage to red blood cells. Just like persimmons, peaches and plums are also unsafe and toxic for a dog to consume unless you core and chop them up yourself. This is because the pit casing and the seeds of these fruits release cyanide when they are metabolized. A dog will never be able to separate the pit and the fruit. If you want to avoid your dog experiencing painful intestinal blockage, do consider getting rid of peaches and plum trees from your backyard. The vines, stems, and leaves of a tomato plant contain an alkaloid called atropine that could make your dog quite sick if ingested in larger amounts. The symptoms could range from unusual drooling, weakness, constricted breathing, diarrhea, constipation to even paralysis. 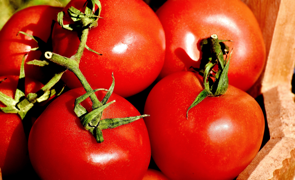 You should avoid offering ripened red tomatoes to your dog. No, it is absolutely not funny to get your dog drunk and watch it perform antics to entertain you and your friends on a weekend. Alcohol has moderate to severe impact on your dog’s nervous system and disrupts normal co-ordination. It could also lead to coma and death if there is alcohol poisoning. Baby food contains traces of onion and/or garlic powder, which is toxic to dogs. If unsure, always refer to the nutritional label prior to feeding your dogs baby food. Furthermore, dogs and babies have totally different nutritional needs. Baby food does not contain the kind of nutrition that your dog needs and you might as well be depriving your dog of its essential requirements. Now that you are aware of the kinds of food you should completely avoid offering your pet dog, we can only hope that you do your best to offer better alternatives. While treats must be offered to reward good behavior and other positive signs, you could limit them to once or twice a week until and unless they are absolutely healthy and you are aware of all the ingredients in them. The best possible food is always a healthy home-cooked meal with minimal spices and oodles of love.